I received this book as a Christmas gift several years ago, and I've always wanted to read it, so why has it taken me so long to pick it up? Well for a start, it's quite big, as it contains all 7 books in the Narnia series, including The Lion, The Witch and the Wardrobe and Prince Caspian. The second reason is that I assumed that being a children's classic, it would be difficult to read, in the same way that I found Lord of the Rings difficult. Well, I decided it was a perfect book to take on the honeymoon, given I would have two weeks to get stuck into the story. Wow, what a shock!! 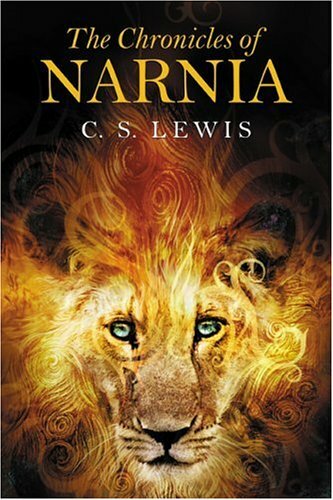 I was hooked from the very first page, and enchanted by the author's writing style and the introduction of Narnia. It's very difficult not to compare it to the Harry Potter series, because the simple language and easy writing style is great for kids, and the imagination of the author is really sublime. I was totally immersed in the story and enjoyed all the adventures. I realised after reading it that the religious undercurrent that this book is renowned for is there for the reader if they wish to delve deep, however they form part of the story and I very much doubt younger readers would even notice. In the same way that The Simpsons contains jokes for adults that can often go right over the head of children, so it is with the religious references in this classic. Each of the 7 adventures incorporates a battle of good (usually in the name of Aslan the Lion who created Narnia) and evil, and it is really only at the end of the series that the religious overtones become quite obvious. I was quite moved at the end of the last book when I realised that the characters weren't in a new world, they were in Heaven, and the process that got them there was fascinating. The message I gained from Lewis was that if you lead a good life then your actions are in the name of the 'Good God' you will be accepted in Heaven regardless of whether you have worshipped that God in life. You really have to read it to understand, but ultimately I can see why this book is a classic, and I can definitely see why it has captivated so many readers, children and adults alike. I loved this book and can't recommend it highly enough to any reader. has an impact in the workplace.